OverviewFamilies and adventurers looking for a safe, spacious, and fun SUV in Massachusetts or Rhode Island will find their fit at Volkswagen of North Attleboro. The Volkswagen Tiguan and Volkswagen Atlas are two award-winning SUVs that have top-of-class cargo capability, stand-out style, and a slew of driver assist features, such as blind spot warning and automatic emergency braking, to keep you safe. Not to mention, both new models come with "The People First Warranty", which promises 6 years/72,000 miles of bumper to bumper protection. 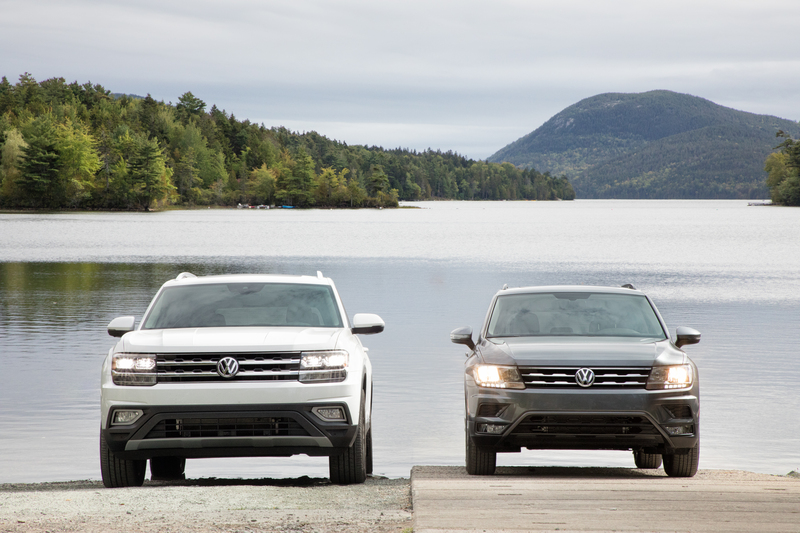 Learn more about the Volkswagen Tiguan and Volkswagen Atlas, and come by Volkswagen of North Attleboro off Kelley Boulevard in North Attleboro, MA for a test drive. Lease a Volkswagen SUV at your local North Attleboro, Massachusetts dealership. The Volkswagen Tiguan won Cars.com's best compact SUV of the year for 2017, winning over the likes of the Honda CR-V, Mazda CX-5, and Ford Escape. Judges were taken aback by the space for your buck that the Volkswagen Tiguan offers. Its optional third row of seats makes it appeal not just to young adventurers, but families as well. Additionally, the standard driver assist features that the Volkswagen Tiguan comes with makes it a high-value buy. You'll have the luxury of heightened peace of mind with forward collision warning, automatic emergency braking, blind spot warning, and lane departure warning. You'll also enjoy VW App-Connect for your entertainment. 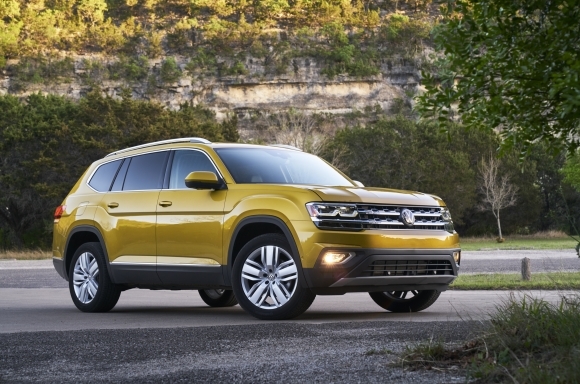 The Volkswagen Atlas was named Cars.com's best 3-row SUV of 2017 and an IIHS top safety pick, winning over the likes of the Honda Pilot, Toyota Highlander, and Chevy Traverse. Families looking for a midsize SUV to drive to Emerald Square Mall, the Zoo, and around Massachusetts and Rhode Island will find it in the Volkswagen Atlas. The Volkswagen Atlas is one of the more roomy and comfortable family SUVs on the road, and the space granted to its third-row passengers helps it stand out among the Honda Pilots and Toyota Highlanders of the world. Entertainment features and refined drive also factored largely into Cars.com judges handing the Volkswagen Atlas the win by one of the largest margins in history. Drivers will enjoy VW Car-Net App Connect and climate control among other features. Forward collision warning and an optional front crash prevention system helped the IIHS name the Volkswagen Atlas a top safety pick. Quality engineering, spacious design, smart safety features, and engaging tech features are all part of what separate the Volkswagen Tiguan and Volkswagen Atlas from the competition. With both having plenty of trims, colors, and packages to choose from, drivers will have options on the lot. Models with 4MOTION all-wheel drive will help you get through snowy New England winters unscathed, and the digital cockpit will put you at the ultimate command center of driver technology features. Browse our inventory online, and feel free to come by our lot anytime to see what it feels like to drive one of these award-winning Volkswagen SUVs.